MY LITTLE PONY ARE HERE AT NORTH CITY! See Twilight Sparkle and Pinkie Pie here for daily Shows and Meet & Greets! Wednesday, 17 April until Saturday, 27 April (No shows on Good Friday, 19, April or Easter Sunday, 21, April. ANZAC DAY hours differ). PARKING INFO: You can park FREE for 3 or 4 hours here at North City! However if you do need more time, no worries… pay a quick visit to our Customer Services Desk on the ground level and they can extend your parking for FREE!! Click here for more info and best parking locations. We also have free pram parking at the event, so you can just park up and enjoy the show. 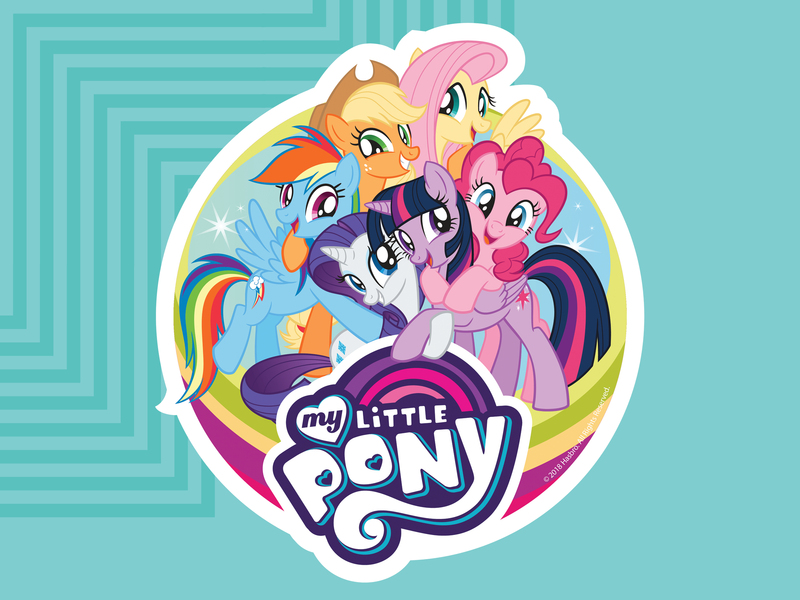 Want the chance to win 1 of 3 My Little Pony prize packs? 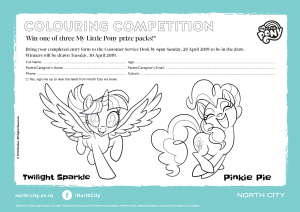 Print the colouring competition below or collect one from the Customer Service Desk (click the image below), complete the form and drop it at the Customer Service Desk before 6pm Sunday, 28 April 2019 and we could be calling you as a winner!